The Meghalaya Government, while laying emphasis on the education sector of the State, has allocated almost Rs 1,000 crore to the sector. 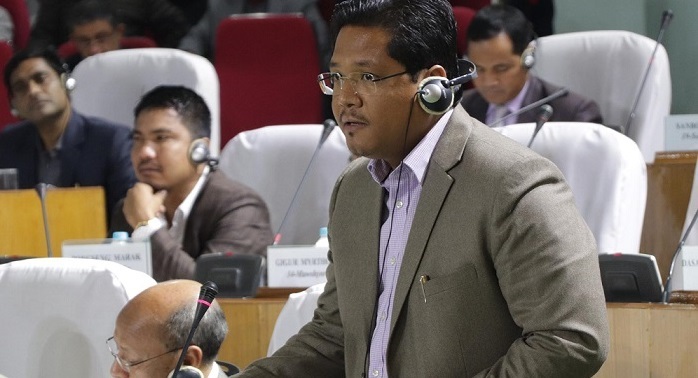 This was informed by State Chief Minister Conrad K Sangma on Friday while replying to a debate on the Governor’s address in the on-going Budget Session of the Meghalaya Legislative Assembly. However, he added that the amount is not sufficient as the financial burden in the education sector is ‘pretty high’. The Chief Minister also informed the House that around 150 schools will be provided with additional classrooms and activity-based aids for the students to help them learn science and mathematics. Conrad further told the House that his government has set up a task force to study the education policy and it is expected to submit its report within the next three months. He also raised the issue of releasing salary of Sarva Siksha Abhiyan (SSA) school teachers which has been pending for the last seven to eight months, adding that it was an arduous task for the new government. Safety of women and children: The Chief Minister also called for a change in people’s mind-set towards women and children. Replying to the debate on the Governor’s address on Friday, he called for a concerted effort from all stakeholders, including NGOs, to tackle crimes against women. Conrad informed the House that his government has taken up slew of measures to ensure safety and security to women and children. These include launching of women helpline number 181, anti-human trafficking units in four districts of Ri Bhoi, East Khasi Hills, Jaintia Hills and West Khasi Hills. He also said that there are women police stations in seven districts and there is a proposal for creation of more women police stations in four new districts of the State. Boost to tourism: laying emphasis on tourism, the Chief Minister said that locals should adopt a changed attitude towards tourists visiting the State. Conrad said as the flow of tourists add to the economy of the State, locals should treat them warm hospitality so that when they carry fond memories of the State when they go back. Infiltration from Bangladesh: While stating that infiltration from Bangladesh remains top in the agenda for his government, Conrad said ‘infiltration is a by-product of Indo-Bangla trade’. He also said the contest of tackling infiltration comes with a balancing act of economic development.